Hawaiian Shaved Ice Syrup is made the "old fashion way" at Ralph's SnoBall Supply. 100% pure cane sugar is the only sweetener we use in our products. Cane sugar is natural, It tastes great and it is safer than chemical or genetically altered sweeteners. We produce and process orders daily as they arrive in order to provide ours customers with peak freshness. Tastes like the pink cotton candy you buy at the fair. Cane sugar is the preferred sweetener of our customers. It is hard to beat the tasty sweetness of pure cane sugar syrup. It has the ability to enhance the taste of any flavor. The taste buds can detect the difference. You can depend on Ralph's SnoBall Supply for quality cane sugar products. Cheap artificial sweeteners are never used in any of our products. In our opinion and in the opinion of our customers, the Best Snow Cone Syrup is produced with cane sugar. The syrup is ready to use or ready to pour over snow cones and other shaved ice desserts. 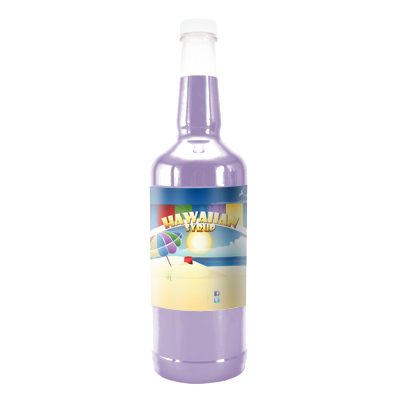 The Syrup is packaged in crystal clear plastic bottles in order to allow the favor's color to show through brilliantly and it has a 6 month shelf life. Opening the bottle does not shorten the shelf life. No refrigeration is required. Store at room temperature away from bright light and direct sunlight. Bright light or direct sunlight can cause the syrup's color to fade and shorten the shelf life. You should be aware that the production of high quality snow cones and other desserts is not possible without a really good snow cone machine. Excellent flavors and inferior snow cone machine is a bad combination. 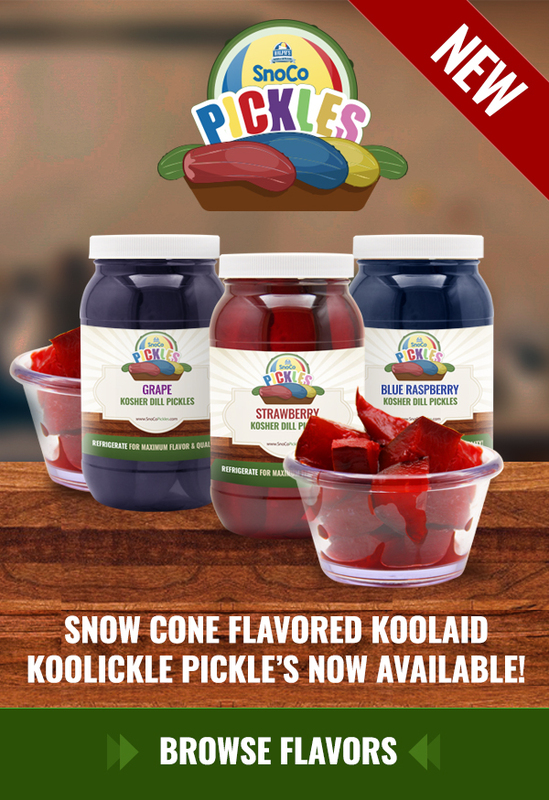 Poor flavors and superior snow cone machines is a bad combination. You must have a combination of both excellent flavors and a superior snow cone machines. Also, the quality of the ice that you use is very important. It must be frozen hard in order to produce fluffy snow. The syrup will run through course ice directly to the bottom of the cup. So you need three things in order to produce superior snow cones, excellent flavors, a top quality snow cone machine and hard frozen ice. No matter how good the flavor or the machine, wet or soft ice will not produce a good snow cone. 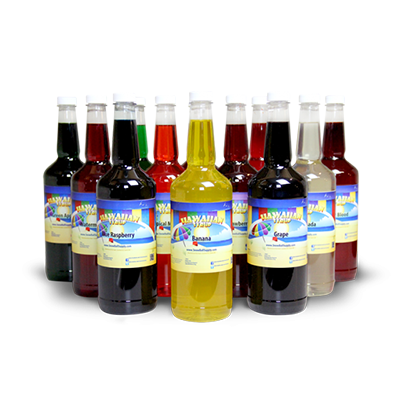 We want to be your one stop shop for all of your snow cone supplies.